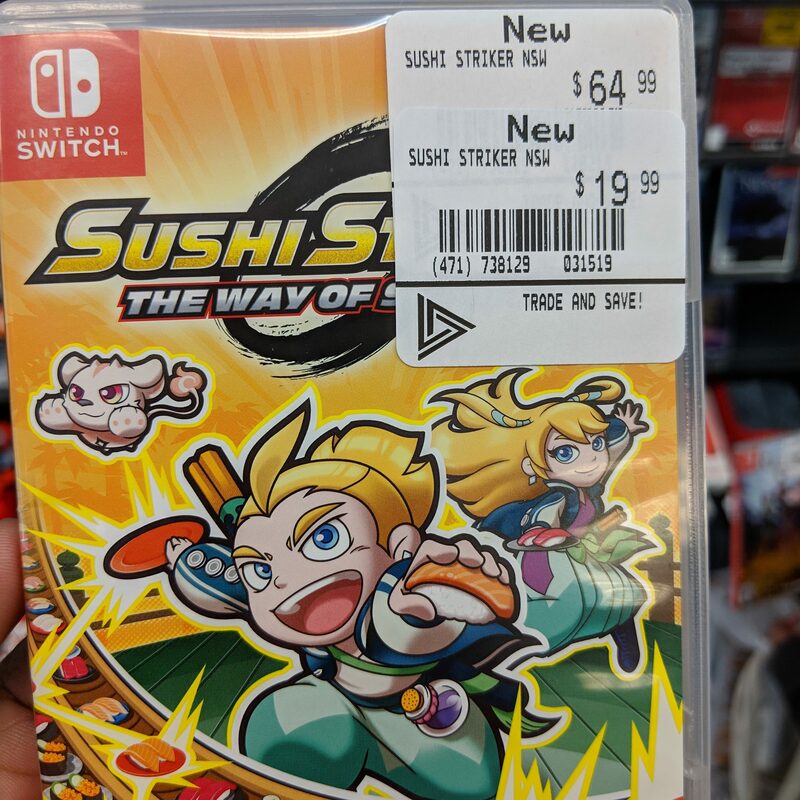 If you like the Japanese zaniness nonsense kind of plots and enjoy eclectic characters... give it a try on someone else's Switch. Guaranteed to drive your sushi cravings, if nothing else. Thanks for the post. Picked up the last copy at my nearby EB Games. Thanks OP, how is the multiplayer for those that have played it? Or is it more single player focused? Thanks OP, just picked up the last copy at my local EB. For $19.99 it's a no brainer, my local EB in Pickering has 6 copies. If you're not sure if you'll enjoy the game, download the demo. I gave the demo a try and I just couldn't get into it. The gameplay and style wasn't for me. Good idea I'll do that after work. Can’t go wrong for $20. Kildonan Place (Winnipeg) had several. Thanks Op! also, looks like EB is pulling an EB again, putting just the used version for 44.99 on their website, like they dont want you seeing the 19.99 new version... whats the point of them reducing the price for new, and then not advertising it on the site? The last time I traded this game, I think it was $24 base value, so it's kind of a waste to use it for Trade 3. Does this game take any skill? I remember the demo.... pushing random buttons and winning the match. Yikes! It was $50 or something when it came out, wasn't it?